A lot of dogs are able to adjust naturally to any weather. However, sick dogs and those with short hair tend to be affected by extreme weather conditions. During winter, it might be necessary to invest in jackets, booties, and sweaters to keep your little friend warm and safe. Protect him by learning when and how to dress him when it’s cold. There are a lot of Pet’s Shops which provide excellent quality, such as Fluffy’s Pet Shop. Click here to view more. Small dogs such as the Chihuahuas are not able to regulate their body temperature well. They must, therefore, be dressed up in sweaters and jackets below the freezing temperatures. Dogs with a thin coat or fat do not have enough protection for the cold weather. These will also require to be dressed warmly to maintain their body temperatures. Some dogs such as the Siberian Huskies can withstand harsh winter conditions. These have thick coats of fur meaning they do not need any additional gear for winter. Note that dressing these dogs with extra material could lead to overheating. Always remember to take cues from your dog. He should guide you on when to add extra clothing. If you notice they are chilled, be sure to bundle them up. What you need is to protect your dog from the winter cold. If you are just taking a short stroll outside your house, a sweater should be enough. However, if you are heading out to the extreme cold outdoors, a waterproof warm jacket would be ideal. Note that a wet sweater would get your dog cold. Different brands have different sizes, so whether you are shopping at a local store or online ensure you get the sizing right. Do so by taking the measurements of your dog. Measure the neck, waist and chest areas right. The sweaters and jackets should, however, fit snugly yet in a comfortable manner. It should be easy to wear and take off. Most stores will allow you to take your dog along to try for the right fit. If you decide to get your dog clothing from the online stores, follow the guidelines, and be sure to read through the reviews to see what other customers think. Also, ensure that the clothing you get for your dog does not have dangerous accessories. For instance, if your dog does not like the clothing he wears, he may try to take it off. If the clothing then happens to have accessories he may chew on, there may be instances of choking. The type of fabric you get for your pup will determine the amount of heat insulated to keep him warm. Although wool can on some breeds be irritating, it is one of the best materials during winter. You could also try knit for better air flow. Winter blankets are also a great choice during cold weather. Whatever you choose for your dog, what matters is its capacity to keep your pet warm and protected. Kirim pesan ke Halaman ini, pelajari tentang acara yang akan datang dan banyak lagi. Donate a complete bunch of homemade dog treats to your regional animal shelter (ask initial even though, some don’t accept them). So subsequent time you happen to be in the baking mood, whip up a swift batch of healthier homemade dog treats for your pooch! They Adore peanut butter and pumpkin and I need to be able to uncover organic for all the ingredients. Directions: See recipe #1. Bake for 15 minutes at 400 degrees or until browned. I do not have a grain free of charge dog treat recipe, but this 1 appears like a good one particular: -ingredient-grain-free of charge-dog-treats/ Let me know if I can support you further! Roll out the dough and then use bone shaped cookie cutters or other Christmas themed cookie cutters. Unless you are willing to spend far more for dog cookies preserved with organic preservatives such as Vitamin E, vitamin C, citric acid, rosemary extract and mixed tocopherols, you can simply bake some lip-smacking, healthier homemade dogs cookies from scratch, utilizing just a couple of components (versus the lengthy list of obscure ones listed on boxes of commercial cookies) and with no artificial preservatives and colorings-and the very best element is your dog will probably really like them! Here is a actually effortless peanut butter recipe- mix collectively a cup of milk with a cup (or far more) of peanut butter then in a SEPARATE bowl mix with each other 2 cups of flour, a pinch of salt and a teaspoon of baking powder. In basic you need to retailer dog treats the exact same way you would homemade cookies for individuals. After the dog treats are entirely cooled, place the jam in a microwave safe container. Effectively here’s an additional oxymoron for ya. Homemade dog treats are healthier and straightforward to make! If your dog is allergic to wheat, attempt substituting amaranth flour, rice flour, millet flour, quinoa flour, almond flour, corn flour/starch/meal, oat flour, or potato starch/flour. Note: Yard suggests small cookie cutters such as this three-inch dog bone , but you can use bigger cutters and bake the cookies a few minutes longer. 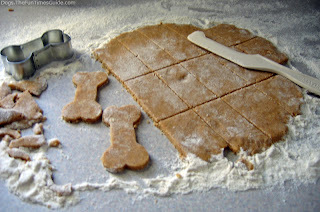 Make some dog treats for Christmas gifts (never neglect to print out and attach the recipes). I will be producing a batch this afternoon with these components: organic buckwheat flour (not a accurate grain, but a grass) organic ground ginger organic pumpkin and organic applesauce. Get shelled hempseed and very easily add lots of nutrition to all sorts of things, but specially dog treats. Professional dog bakeries provide interesting combinations of ingredients in their dog biscuits. I like homemade dog treats since they’re healthier, less expensive, greater versions of retailer-purchased puppy dog treats. I’ve been doing some holiday baking this week for my pals, annnd by baking I mean homemade dog treats,Â and by close friends I mean my dog. Just be sure to get them the appropriate size given that little pups can get easily overwhelmed by huge dog biscuits and bigger pups won’t be happy by tiny treats. Depending on your oven, it could take another five to ten minutes a lot more for the cookies to be ready. Edited to add: Another whole wheat, substitute I know to make dog cookies is brown rice flour. Verify the density of the cookies they need to not have any give in the center when you push on them with a finger. I discovered that by leaving the cookies in the oven for several hours after they’ve been baked they get tougher than if you cool them on the counter. Whisk with each other the flour, eggs, pumpkin, peanut butter, salt and cinnamon in a mixing bowl. Excellent for snacks these gooey soft cookies are sure to please your little ones whilst getting healthier as well. Yesterday, I attempted out to bake these Horlicks Cookies… it was so enjoyable when trying my ideal to shape them differently.. ^v^ right here is the image of my end results… (^_^)…yummy yummy!!! I don’t have the rice chocolate as I found your recipe right after coming back from the supermarket! 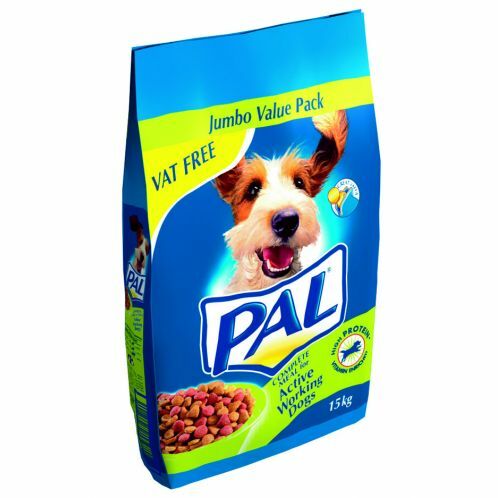 Dog treats used for instruction have a tendency to be smaller so the dog doesn’t shed concentrate, but dogs who need to have to be occupied require larger treats or tiny treats scattered for them to appear for. Unlike the commercial cookies I utilized to acquire which contained a extended list of ingredients, these cookies are created of only 5 components! Coconut flour is very absorbent and very little is necessary to successfully generate a recipe. For this recipe I used just melted white discs with a bit of paramount crystals added, and a touch of meals coloring. The chocolate chip melted n when I put in the container, it sticks to other cookies. There is no sugar in flour, so it will not influence the sweetness of cookies if you use a various kind of flour. Pour the dry ingredients into the peanut butter mixture and stir with a fork until dough forms. Cookies can be frozen for up to 5 or six months, refrigerated for up to 3 weeks, or kept in an airtight container at space temperature for up to 4 or five days. Make dog Christmas cookies decorated with vibrant, vacation colors so that absolutely everyone in the loved ones gets to have tasty Christmas treats! Hi, I’d attempted baking these cookies, following exactly the recipe except that my cookis appear much more like a bear than a dog :p I didn’t have milk poweder so I’d prime it up with a lot more Horlicks and the taste is nevertheless okay. And yes, Yard’s dog, Chunk, gets his fill of these whole wheat-peanut butter cookies, as well. Mash the banana and peanut with each other, then stir in the wheat germ (or you can use oatmeal) and peanuts. Drop the peanut butter and infant food mixture by spoonful on a greased cookie sheet.